Programmable memory settings enable recall ideal weld settings, and Auto-Line technology allows for any single-phase input-voltage hookup (208-240 V for the Millermatic 255 and 208-575 V for the Multimatic 255) with no manual linking. 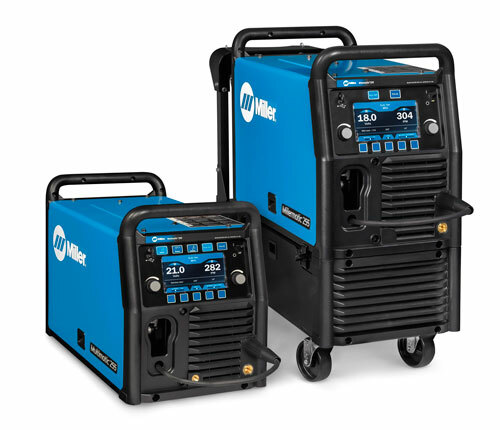 The Millermatic 255 can weld metals to 0.5 in. thick with an output rating of 230 amps and 25.5 V at a 60-percent duty cycle. The Multimatic 255 also welds metals to 0.5 in. thick with an output rating of 230 amps and 25.5 V at a 60-percent duty cycle. And, both machines offer pulsed-GMA operation, ideal for thin materials and for minimizing splatter.